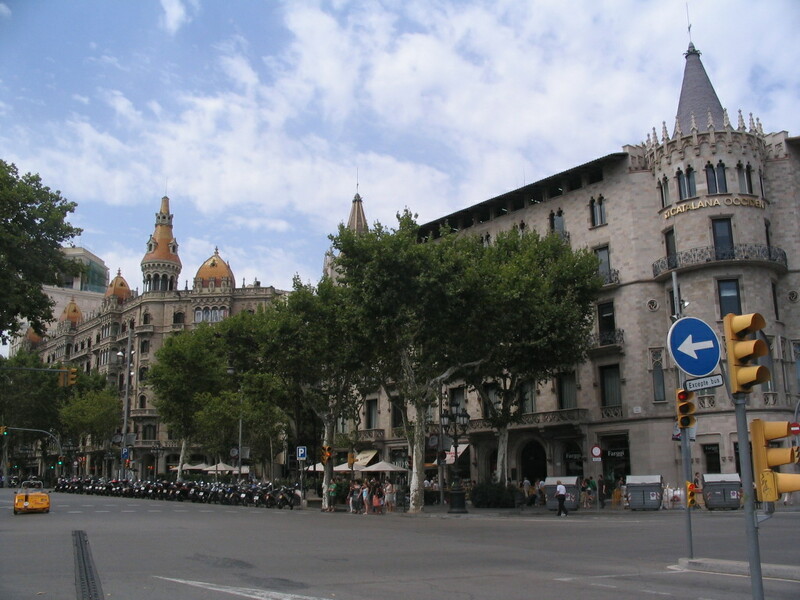 I continued along the Passeig de Gràcia to its end at the Plaça de Catalunya, and headed into the Ciutat Vella from there. 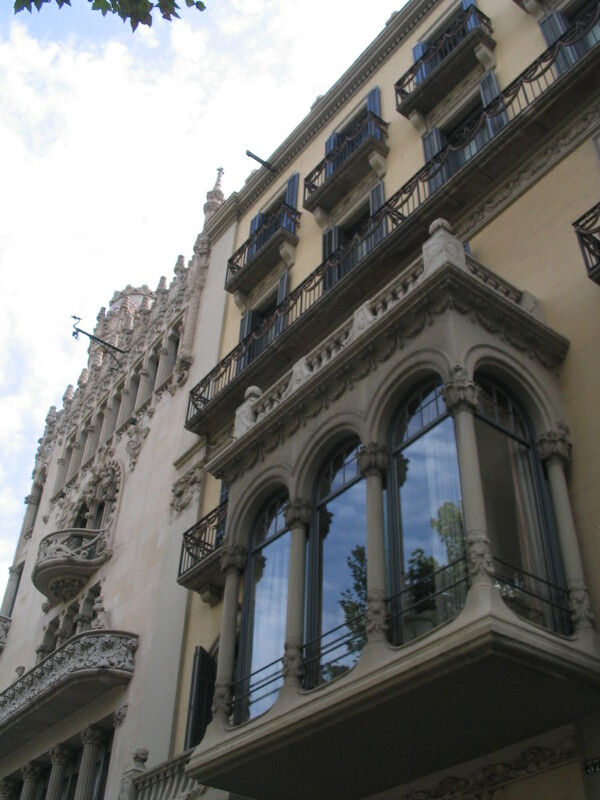 Here are two more members of the Illa de la Discòrdia: at right, the Casa Mulleras, designed by Enric Sagnier, and at left, the Casa Lléo Morera, designed by Domènech i Montaner and completed in 1905. 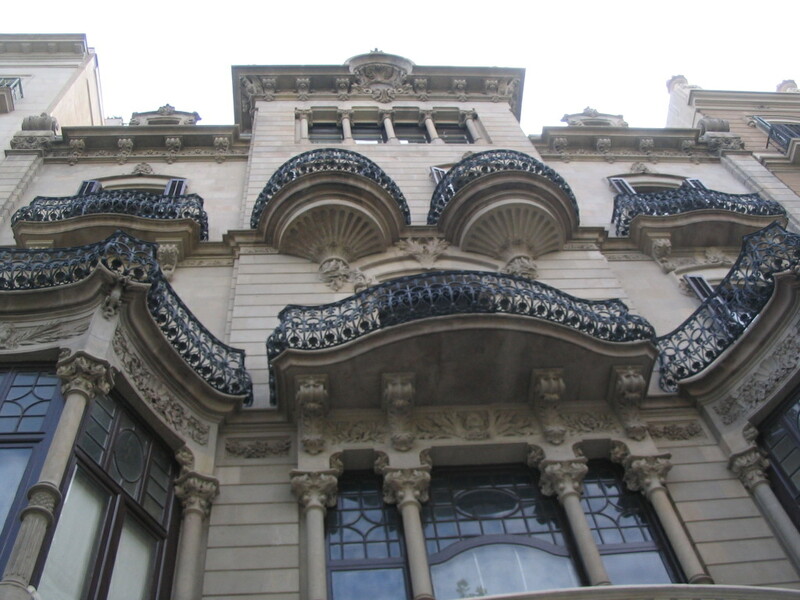 The Casa Lleó Morera has some incredibly intricate ornamentation. I like the simplicity of the underside of this oriel in conjunction with the dense ornament above. 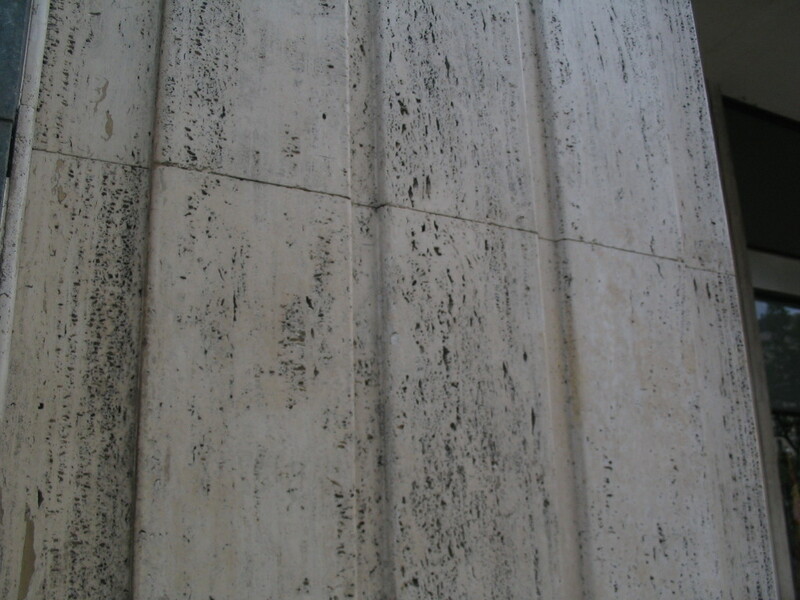 A quick palate cleanser: the minimal stone piers of the Borsa de Barcelona, further down along the Passeig below Carrer de la Diputació. 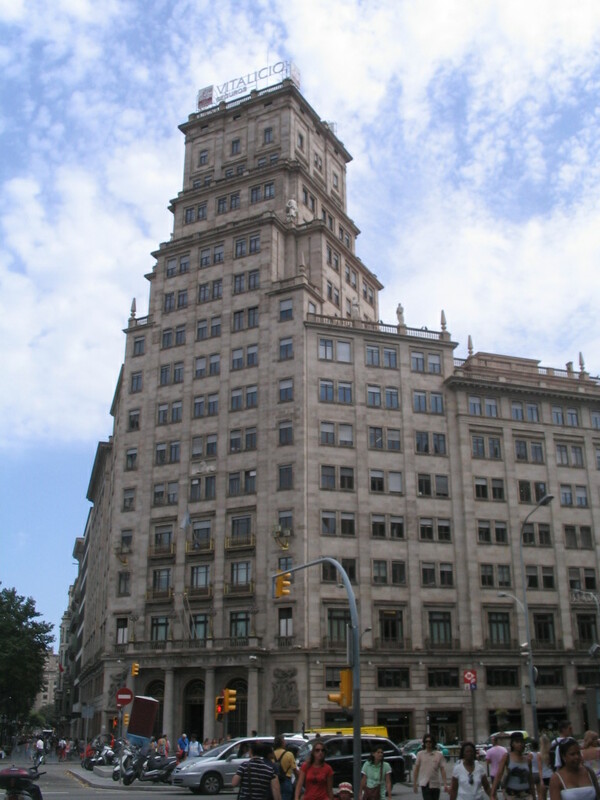 This tower, the Banco Vitalicio, is at the south corner of Passeig de Gràcia and Gran Via de les Corts Catalanes, one of the primary axes of the Eixample. 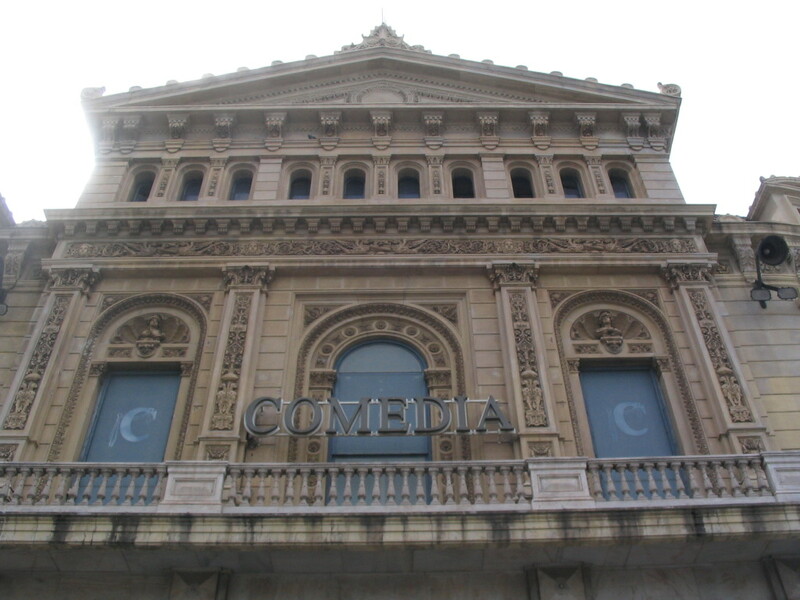 Across the way on the west corner is the Cinema Comèdia. 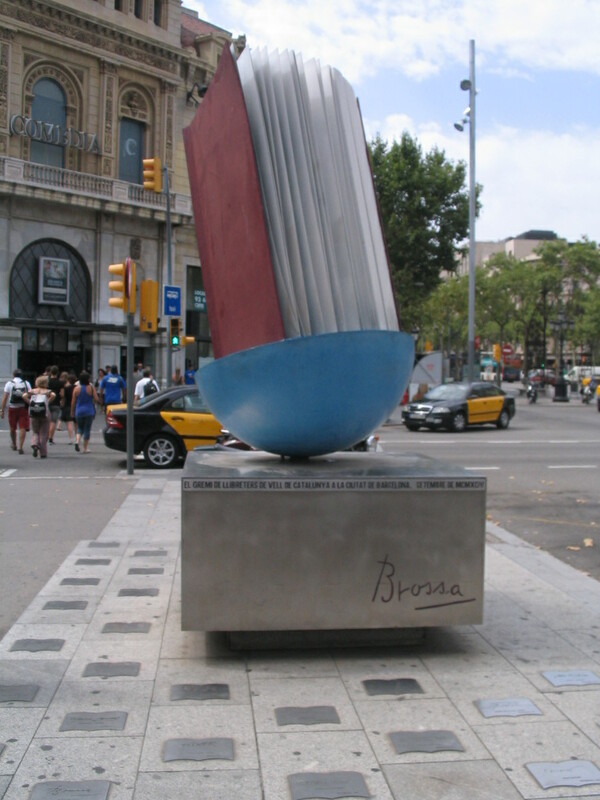 The Monument al llibre (Monument to the Book, 1994), by the poet/playwright/artist Joan Brossa, resides in the Gran Via median. 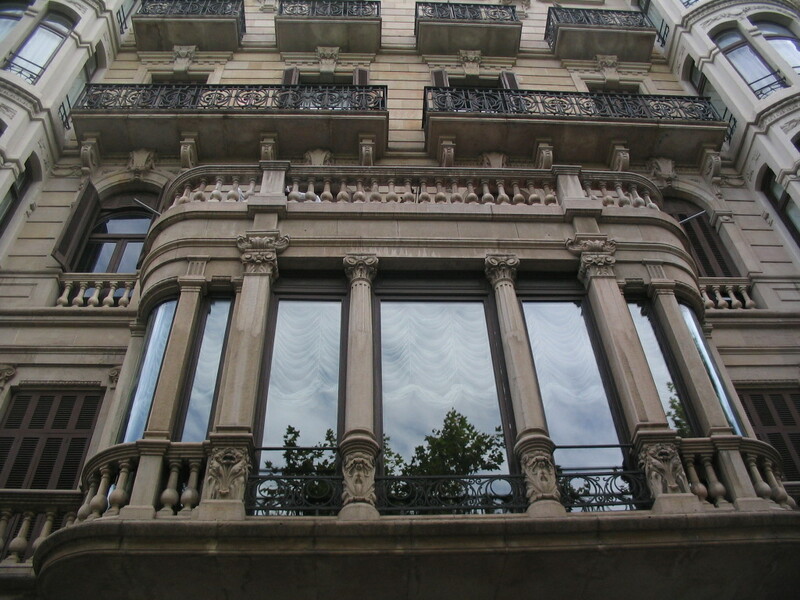 Another grand bay window, on the last block of the Passeig before the Plaça de Catalunya. 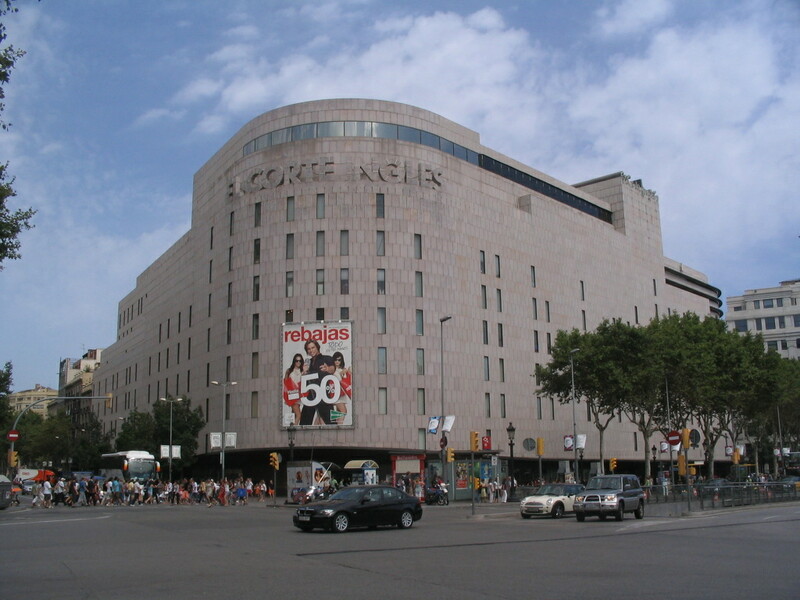 On the north corner of the Plaça de Catalunya is the big rounded Corte Inglés department store, which somewhat recalls the Rotterdam De Bijenkorf in form and content. 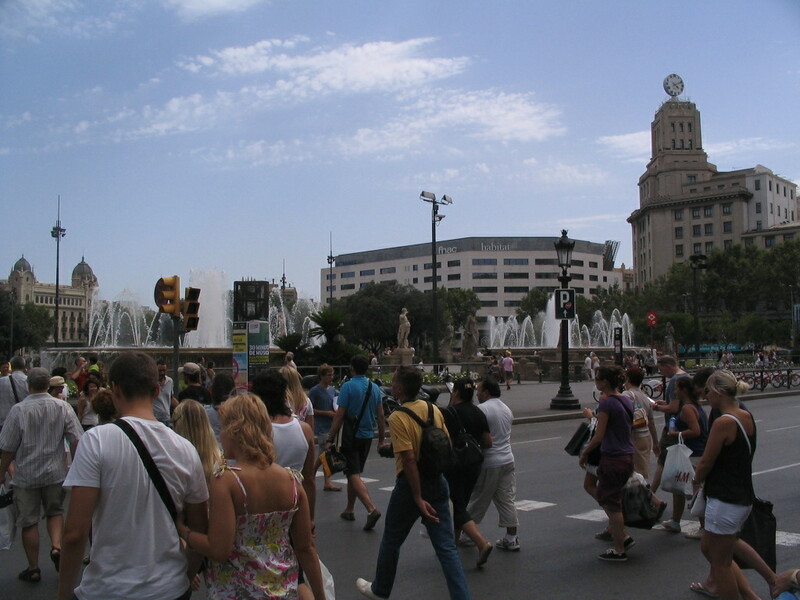 Crossing to the interior of the Plaça and looking across it. 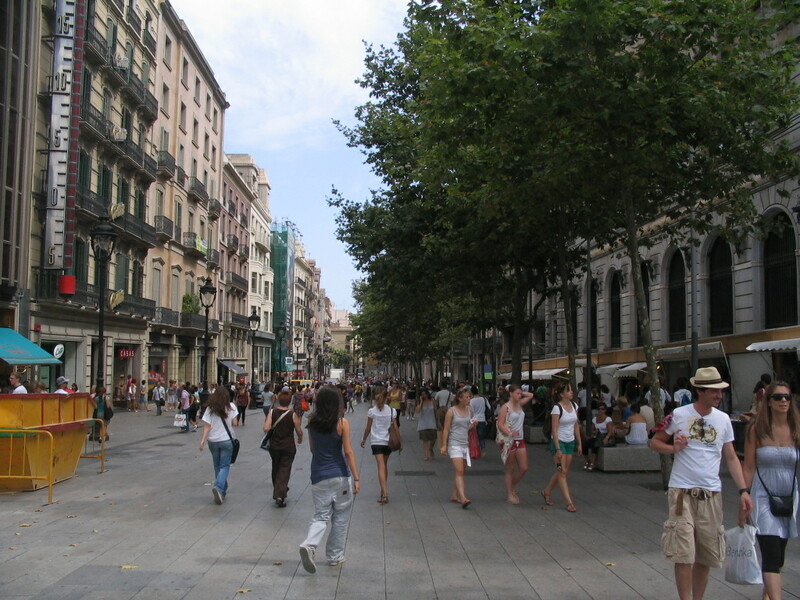 The Plaça de Catalunya is considered the very center of Barcelona and is certainly the most central interface between the Ciutat Vella and the Eixample. 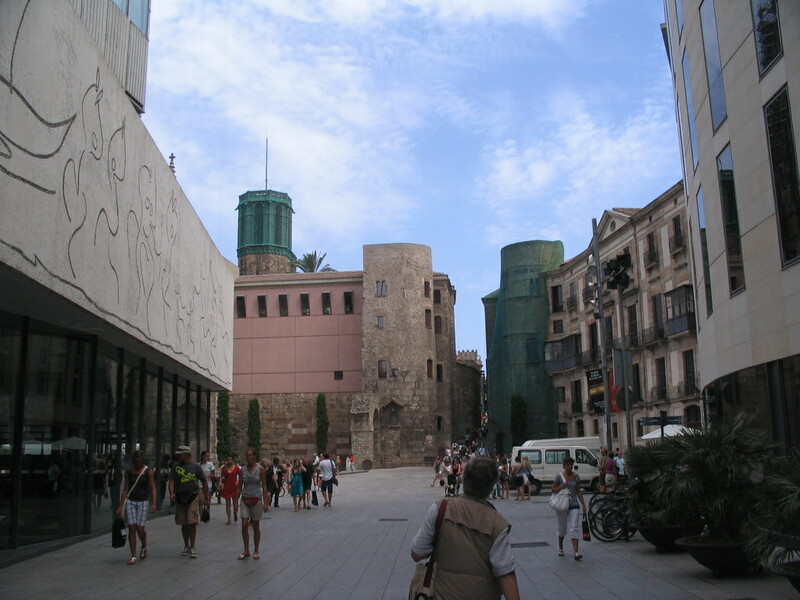 Looking back to the northeastern side of the last block of the Passeig de Gràcia: the sunburst-roofed Casa Rocamora at left and the Casa Pascual i Pons at right. 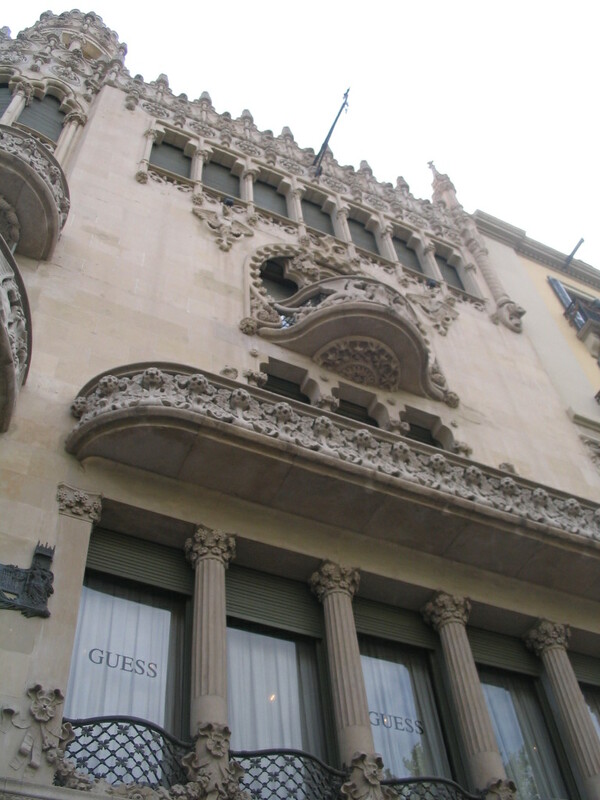 Another look across the Plaça, from the eastern corner. 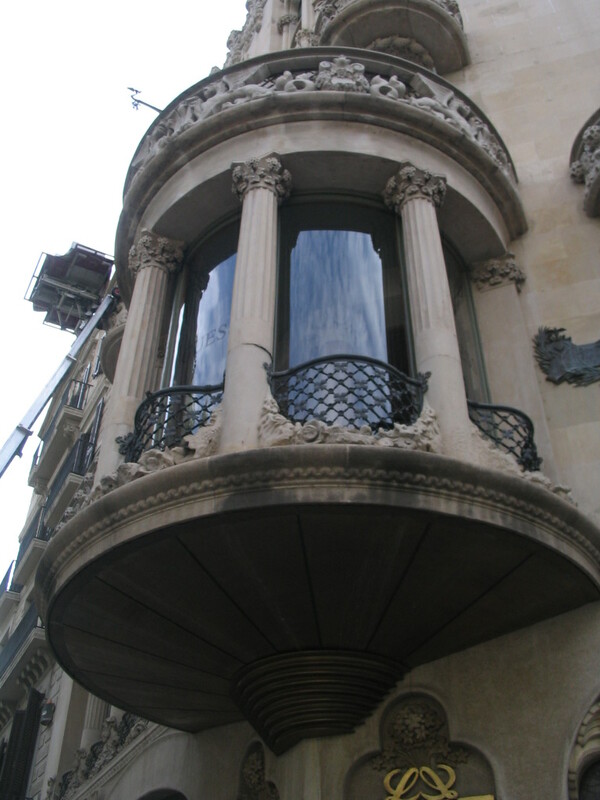 And now, on into the Ciutat Vella, along Av. 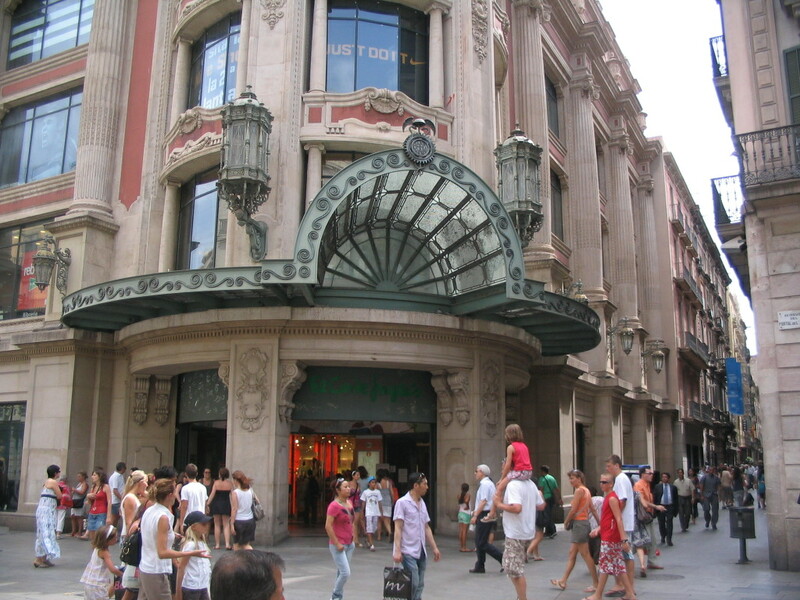 del Portal de l'Àngel. Still at the entrance to Av. del Portal: that thermometer at right has got to be the largest I have ever encountered. 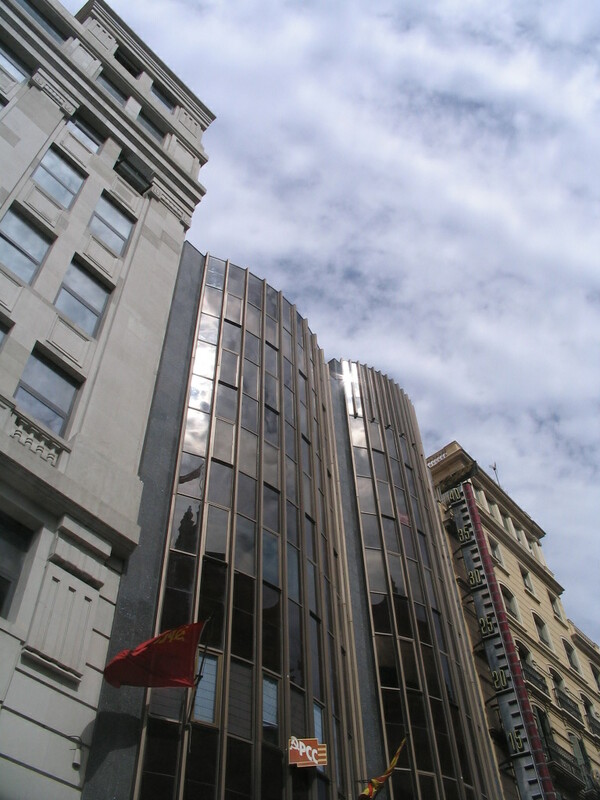 A grand double-curved canopy at Av. 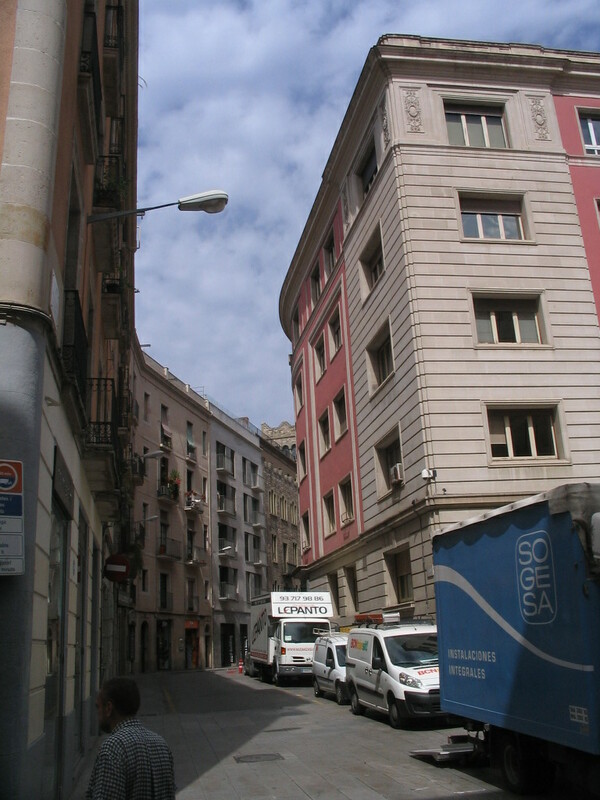 del Portal and Carrer de Santa Anna. Across the way a bit further along, an eclectic façade, perhaps noucentista. A decidedly non-eclectic façade on Av. 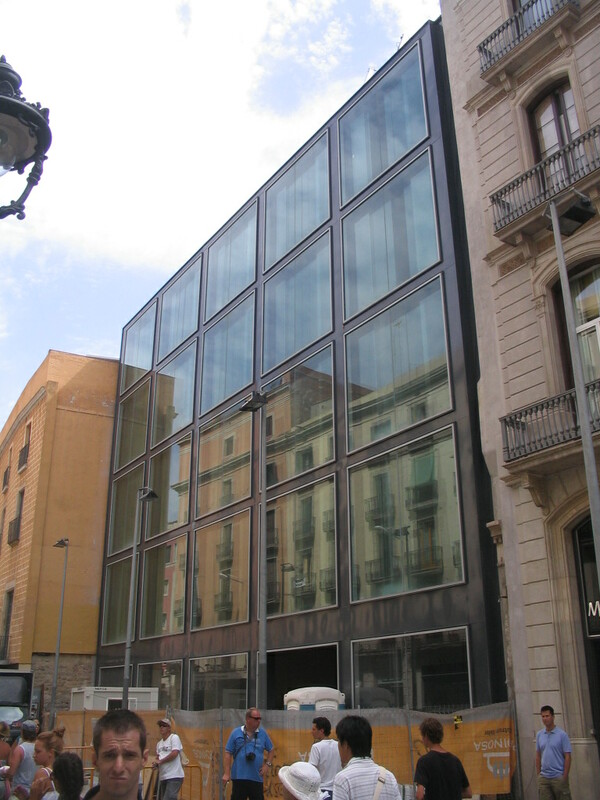 del Portal across from Carrer de Montsió. A subtly rounded corner up Carrer de Duran i Bas. 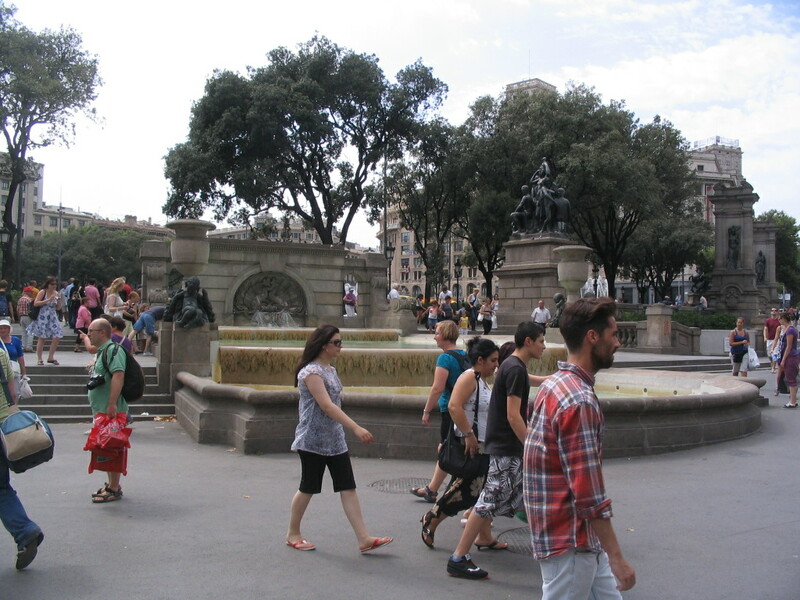 At the Plaça Nova, the southwestern lobe of the Av. de la Catedral, we have Col·legi d'Arcquitectes de Catalunya at left, where way back at the start of the session I had bought the sketchbook that I continue to use (as of 2013) for architectural design. 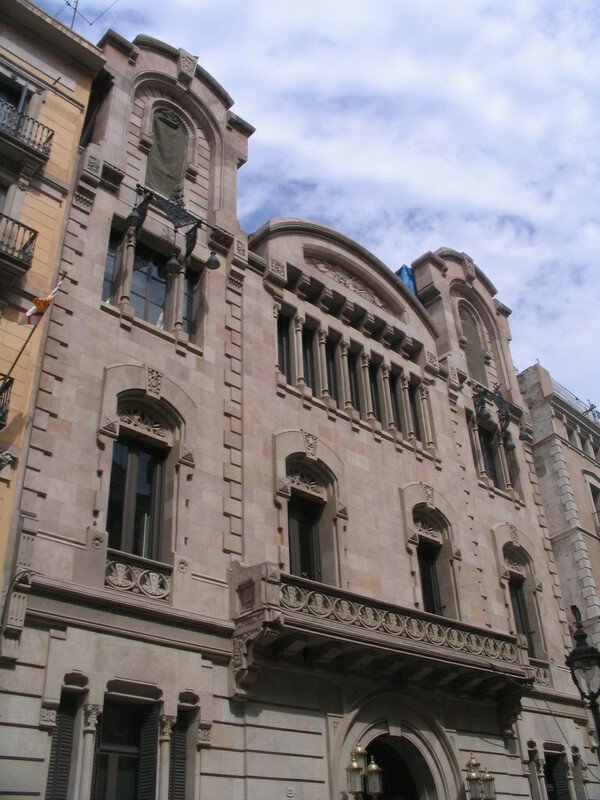 Ahead is part of the cathedral complex, the Casa de l'Ardiaca (Archdeacon's House). Deep time is captured in the walls of the Casa. 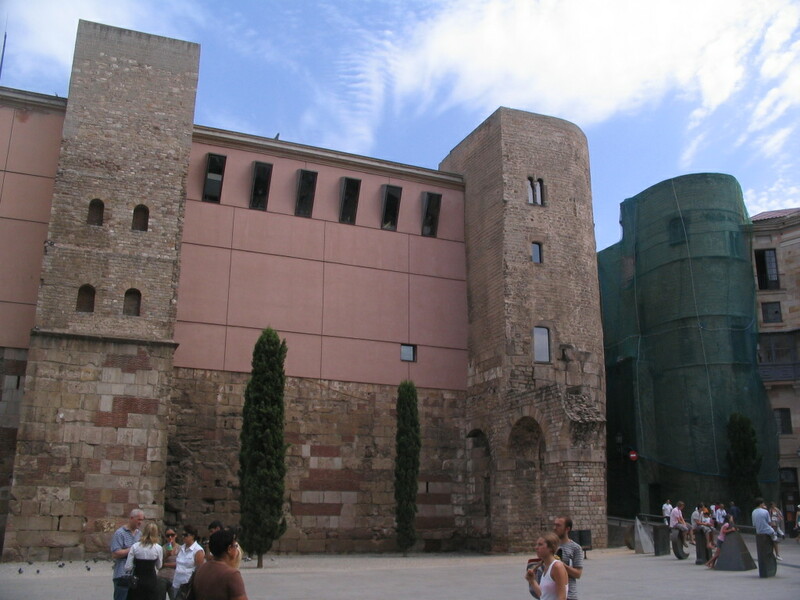 In particular, the fragmented wall projecting from it at right is part of the original Roman settlement Barcino's city wall. Note also the letter sculptures spelling out "BARCINO" (backwards in this view) way at lower right. This is another piece by... Joan Brossa.